After the uneven double release "Ages", Edgar Froese confirms his melodic orientation with this 1979 opus. 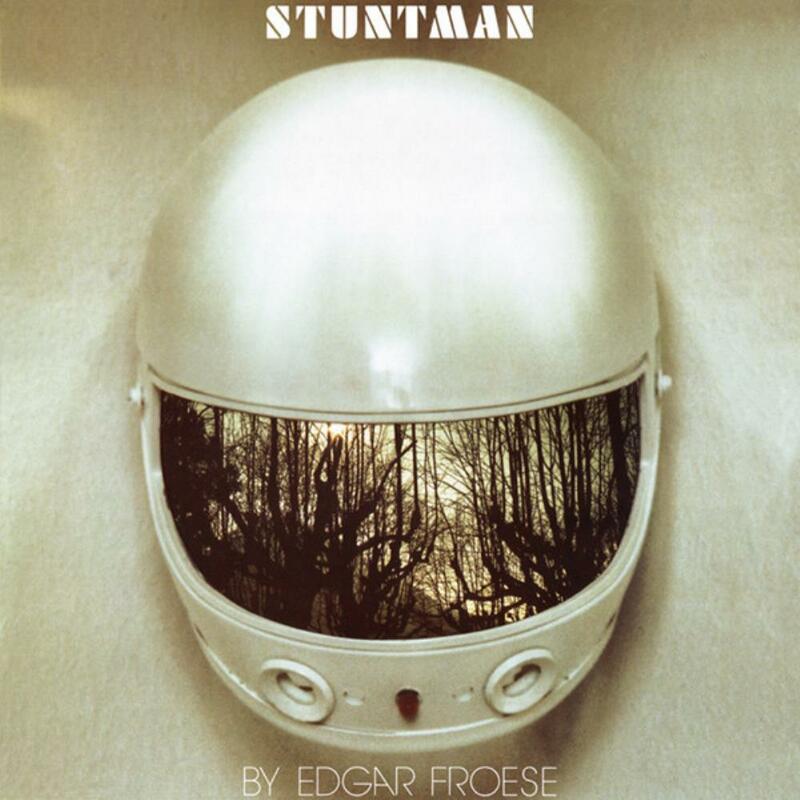 More accessible than its predecessors and featuring shorter tracks, "Stuntman" can be described as Daliesque or surrealistic electronic music, as it combines cold synthetic sequences with strange unreal melodies. For the first time, the musician uses the then nascent digital sounds. The compositions are therefore on the bridge joining the analogue and digital eras, which is a bit particular. The final result is very nice and avoids the lassitude and redundancy that can be felt on the previous album. Again, the disc features Klaus Krieger at drums and is quite different from the progressive rock turn taken by TANGERINE DREAM at the same period. The title track is quite dreamy and spacey. A soothing trip to the stars. "It Would Be Like Samoa" pre-dates the sonorities of TD's "Convention of the 24" in the 1982 album "White Eagle". A trippy cool soundscape evoking futuristic Incas architectures. Then comes the mysterious "Detroit Snackbar Dreamer", slower and more intriguing but as good as than the former tracks. The second half is slightly more ambient and less melodic. The soft "Drunken Mozart In The Desert" shows Edgar's classical influences while featuring an unusual mystical electronic loop. The final part sounds a little dated, but remains however pleasant and dreamy. For the first time, "A Daliesque Sleep Fuse" is a reference to his mentor Salvador Dali, to whom the German pioneer will dedicate an entire record 26 years later. A fast pulsating tune with a typical distorted guitar solo from Froese and KRAFTWERK-ian sound effects. The superfluous ender "Scarlet Score For Mescalero" is the only weak track of the disc. "Stuntman" is an essential listen for TANGERINE DREAM fans, especially for the Schmoelling-era lovers. Quite unique in Edgar and even TD's discographies, it somehow pre-dates the style adopted by the band during the beginning of the eighties, while remaining not commercial. A bridge between two decades. Although the electronic sonorities did not aged very well, the mixture of surrealistic melodies and synthetic sequences is efficient and should please every old school electronic music aficionado. With "Epsilon In Malaysian Pale", Edgar Froese's best album, and his most accessible.